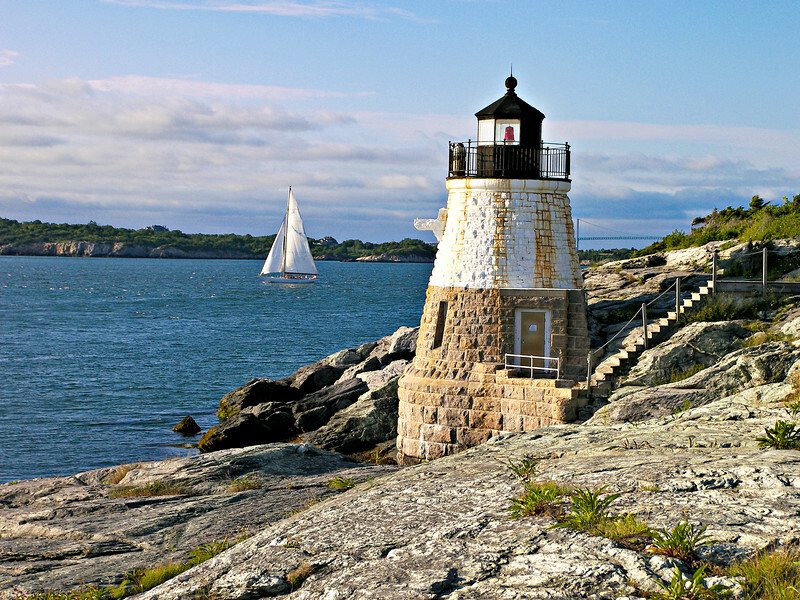 During the late 19th century the Light House Board embarked on a project to improve navigational aids in Narragansett Bay, Rhode Island. Several lighthouse stations were erected during this period. One site selected was Castle Hill on the southwest corner of Aquidneck Island to mark the East Passage shipping channel past Conanicut Island to the ports of Newport & Providence. As early as 1869 the Light House Board requested funding to build a lighthouse and fog signal at Castle Hill. On March 3, 1875 Congress finally approved the request and appropriated $10,000 towards the project. But there was a problem….